Riley has crossed the bridge into the afterlife—a place called Here, where time is always Now. She has picked up life where she left off when she was alive, living with her parents and dog in a nice house in a nice neighborhood. When she's summoned before The Council, she learns that the afterlife isn't just an eternity of leisure. She's been assigned a job, Soul Catcher, and a teacher, Bodhi, a possibly cute, seemingly nerdy boy who's definitely hiding something. They return to earth together for Riley's first assignment, a Radiant Boy who's been haunting a castle in England for centuries. Many Soul Catchers have tried to get him to cross the bridge and failed. But all of that was before he met Riley . Radiance is the first book in the Riley Bloom series from bestselling author Alyson Noël. Most people think that death is the end. The end of life--of good times--the end of, well, pretty much everything. But those people are wrong. And I should know. I died almost a year ago. From the #1 New York Times bestselling author of the Immortals series comes a new middle-grade series featuring Ever's younger sister, Riley. Watch the trailer! 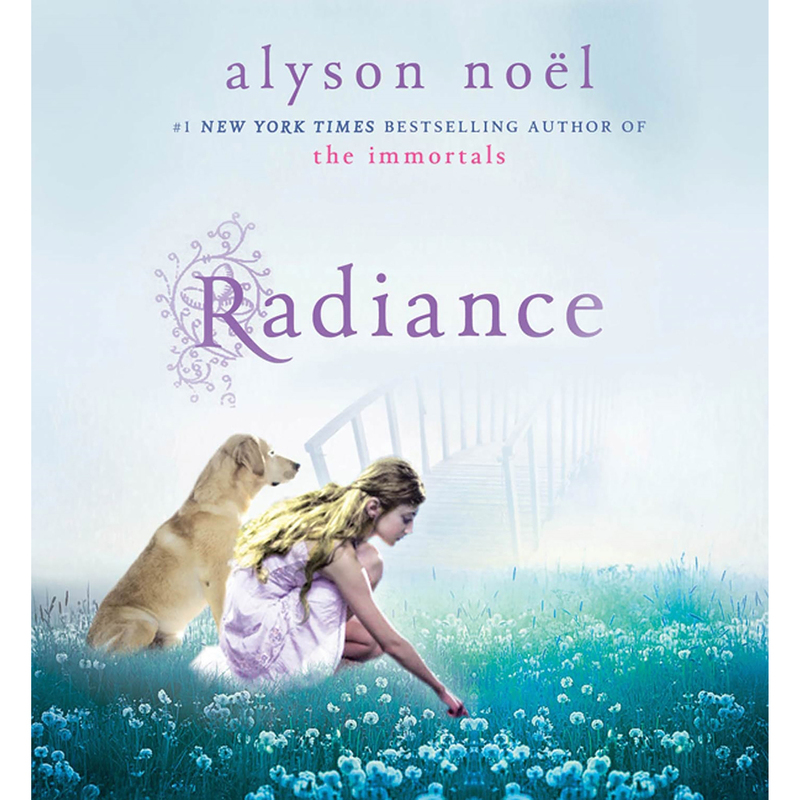 Alyson Noël is the #1 New York Times bestselling, award-winning author of Saving Zoë, Faking 19, Laguna Cove, Kiss & Blog, and Cruel Summer; the Immortals series and its spin-off Riley Bloom series; and the Soul Seekers series. Her books have won awards including the National Reader's Choice Award and have appeared on Seventeen Magazine's "Hot List" and Beach Book Club Pick. Kathleen McInerney has narrated audiobooks by bestselling authors such as Emily Giffin, Danielle Steel, Mary Kay Andrews, and Linda Castillo. Her narration of Just One Day by Gayle Forman won an AudioFile Earphones Award.